Young police officer SHANE COOPER (Ryan Kwanten) relocates to the small country town of Red Hill with his pregnant wife ALICE (Claire van der Boom) to start a family. But when news of a prison break sends the local law enforcement officers - led by the town's ruling presence, OLD BILL (Steve Bisley) - into a panic, Shane's first day on duty rapidly turns into a nightmare. Enter JIMMY CONWAY (Tom E. Lewis), a convicted murderer serving life behind bars, who returns to the isolated outpost seeking revenge. Now caught in the middle of what will become a terrifying and bloody confrontation, Shane will be forced to take the law into his own hands if he is to survive. 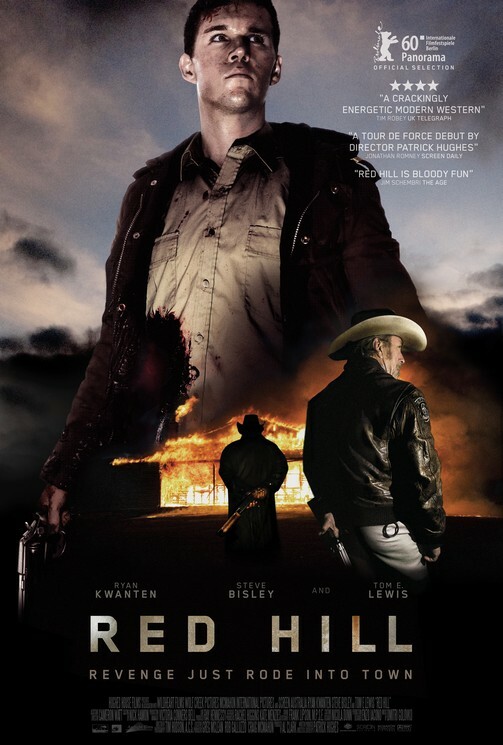 A taut thriller which unfolds over the course of a single day and night, and told with explosive action and chilling violence, "Red Hill" is a modern-day western played out against the amazing landscapes of high-country Australia.